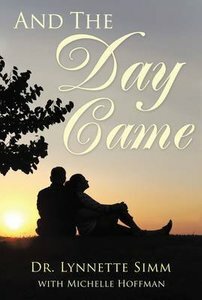 And the Day Came is one woman's story of overcoming abuse and abandonment through therapy and allowing God to take control of her life. When she was young girl Lynnette Simm was abandoned and abused. As an adult, she begins therapy to deal with her struggles, and she lets God take control. She learns to heal, rebuild relationships, and proves that nothing is unforgivable. There is more to life than just surviving abuse. Healing is possible with the Lord. Life abundantly is waiting for all. About "And the Day Came"
Dr. Lynnette Simm holds degrees in Psychology (BA), Education (MA), and Education (Ed.D). She is certified in Adult Learning, Training, and Development, and has worked in early childhood development and as a college professor since 2006. She lives in Texas with her husband of 20 years. They have two daughters.